The original interior arches of the church were removed in 1756, being placed at the top of the adjacent hill as a folly where they still stand. 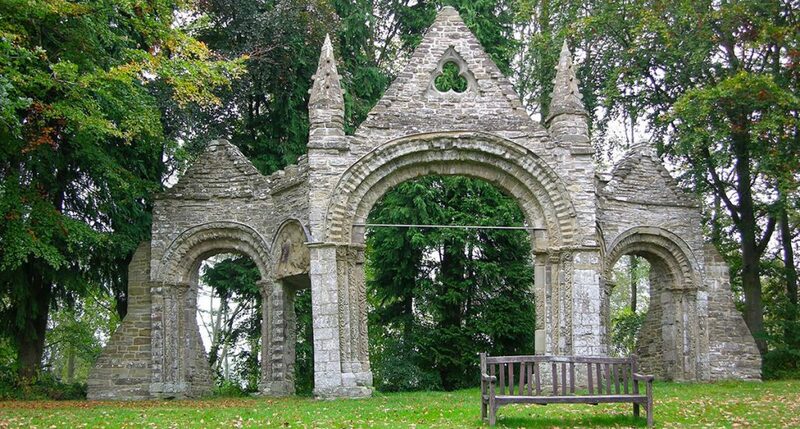 The Shobdon Arches consist of a central chancel arch and two Norman doorways. 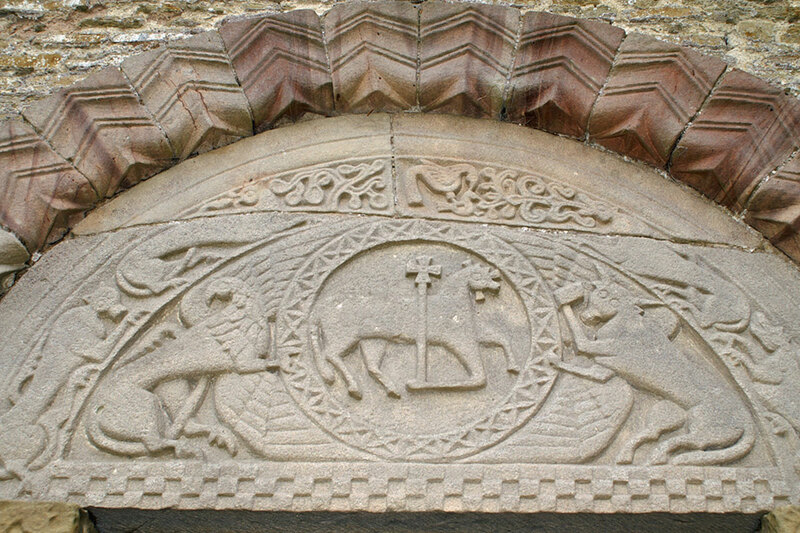 The fine, though weathered, carvings are the work of the Herefordshire School of Romanesque sculpture. The Herefordshire School was a group of master masons working in Herefordshire and Worcestershire during the 12th century. 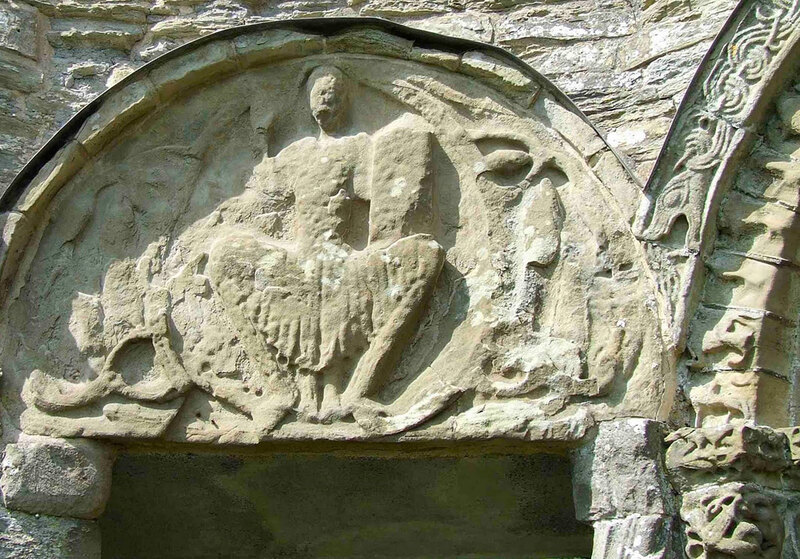 They were heavily influenced by carving seen in churches and monasteries in south western France. 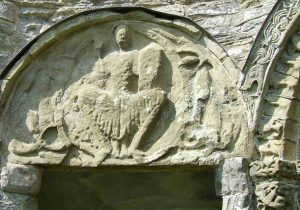 Their distinctive ‘Romanesque’ sandstone and limestone carvings are to be found in several parish churches in the area, notably Kilpeck, but also Eardisley, Leominster and Castle Frome. 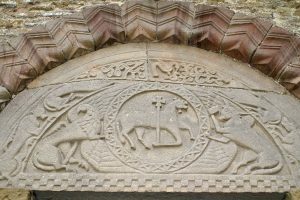 Their work draws on a variety of cultural sources for its religious and mystical images; Norman military figures, Anglo-Saxon animals and Celtic abstract patterns combine to create a unique and beautiful synthesis. Despite its religious nature, the Herefordshire School also has a playful, and sometimes bawdy approach. It is clear from the quality of the carving that the pre 1756 church was also a magnificent building.